CHICAGO — Two people are dead and at least 16 others wounded since Friday afternoon, police said. Many have this addendum: According to police, the (insert 'victim') is a documented gang member. 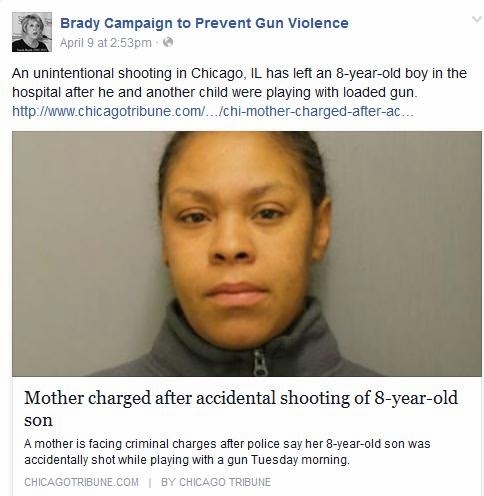 Home of the Joyce Foundation and the Chicago anti-gun machine. We know the Joyce Foundation made their grant lists disappear some time ago and I showed how 'Citizen Action' keeps its anti-gun activities as quiet as they can. It seems to be a trend. A ban on the sale to the public of military and auto loading firearms with a capacity of 112 firing 10 rounds or more from a single clip. In addition, the Association supports legislation to ban the manufacture and sale of look - alike guns. Significant penalties for criminal actions involving t he use of guns or other weapons. Restrictions, including a mandatory waiting period to allow background checks for felony convictions or mental illness, on the manufacture, distribution, and/or sale of handguns in order t o assure a safer school environment. Now what's funny is that those who profess to be educators and are in charge of the mandatory theft of money from teachers under 'Fair Share' don't even know there's ALREADY a 72hr waiting period on handguns in Illinois. There's also a 'Task Force' to coordinate w/ other anti-gun groups and discuss 'Gun Safety' buried among the many others. There are NO links or updates on related bills on their 'Legislative' page. They certainly don't want many people to know where their money is really going when they support 'education' or 'teachers', do they? In 2003, Biles pleaded guilty to felony charges for forgery and received 18 months probation, court records show. Felon in possession. And the boyfriend? Police said the gun the children used belonged to Jeffery Williams, 34, of the 1100 block of South Harding Avenue. Williams, who was paroled in January after receiving a 30-month sentence for drug charges, was arrested Friday, according to police and Illinois Department of Correction records. That doesn't fit the narrative so none of it will be mentioned.